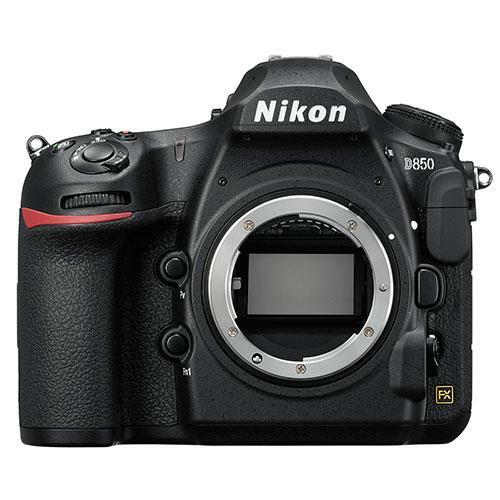 The Nikon D850 is a professional level full-frame DSLR, made from a tough metal frame with weather-sealing, delivering stunning image quality and some of the most advanced imaging technology available in the DSLR camera class. Featuring a high-resolution 45.7-megapixel FX BSI sensor, with no Optical Low-Pass filter, the D850 is capable of capturing detailed images with the widest dynamic range available on any current Nikon camera. Whether you’re interested in landscape photography, wildlife photography, portraits, products or action. Boasting the lowest ISO sensitivity setting of any DSLR or mirrorless full-frame camera, the D850 can be used to produce high-resolution stills in a wide variety of lighting conditions. The Nikon D850 has a native ISO sensitivity range of ISO 64-25,600 (expandable from ISO 32 to 51,200). The Nikon D850 surpasses its predecessor’s autofocusing capabilities in every aspect, using an advanced 153-point intelligent multi-CAM 20K AF system (99 cross-type) with dedicated AF processor to achieve sharp focus results in conditions as dim as -4EV in the centre. Fifteen cross-type AF points inhabit the centre of the sensor and they’re compatible with f/8 AF NIKKOR lenses. Focus can be selected and checked quickly using the D850’s tilt and 3.2-inch touchscreen LCD 3.2-inch 2,359k-dot LCD offers a crisp display for composing images, with an anti-reflective coating for optimal visibility in all conditions. The D850’s flexible AF capability can be grouped to suit the scenario and with the camera’s EXPEED 5 processor, the D850 can produce cleaner pictures in low light and buffer full-resolution stills at 7fps (up to 9fps with optional MB-D18 battery grip). Additionally, the D850 records media to two card slots, one compatible with SD cards and the other with super-fast XQD storage. Keeping up with the demands of today’s content creators, the Nikon D850 allows users to create 4K and 8K time-lapse video sequences in-camera for up to 9,999 frames using the D850’s Interval Timer Mode. Astro and photographers who require silent shooting will appreciate the D850’s silent shooting capabilities in live view. Silent shooting uses an electronic shutter to reduce shutter shake and can be utilised to capture full resolution images at up to 6fps or 8.6MP images at up to 30fps. New functionality introduced with the Nikon D850 sees the inclusion of in-camera RAW image batch processing, allowing users to apply adjustments across a series and save the JPEGs and RAW images to the second card slot for ease of workflow. Working in the dark is also made easier thanks to the illuminated buttons of the D850’s ergonomically designed body. 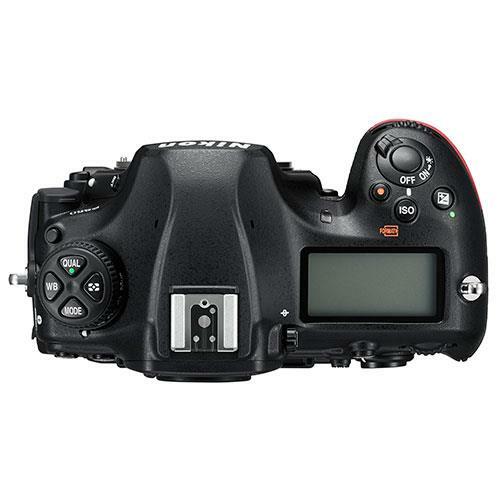 This is a tough, workhorse DSLR camera with a battery rating of up to 1840 shots at full resolution. This is also a camera that creators can use in a variety of environments and conditions due to it’s rugged magnesium-alloy frame and extensive weather-sealing. Nikon D850 owners can take advantage of its Wi-Fi and low-energy Bluetooth functionality, for easy wireless control and image sharing via the Nikon SnapBridge app. To connect to PC’s or FTP servers via LAN, users may also purchase the optional WT-7 Wireless Transmitter. Compatible with a vast family of Nikkor lenses, the D850 offers high-quality 4K UHD (3840x2160) at up to 30fps. Interested in shooting cinematic slow-motion sequences? The Nikon D850 is capable of recording Full HD videos at up to 5x slow-mo playback at 24/25/30p. 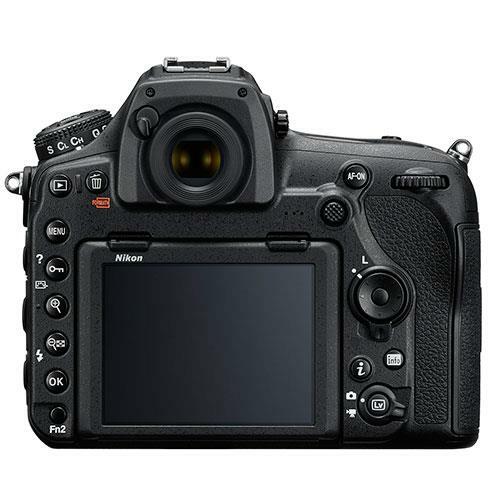 With the Nikon D850 users can also expect professional video functionality such as focus peaking, zebra pattern highlight detection and incorporate external audio recording with versatile sound control.